While most weeks this summer have featured just one or two wide releases arriving in theaters, that’s not the case this time, as we have a big slate of movies hitting the screen this week. We’ve got Fantastic Four, The Gift, Ricki and the Flash, and The Shaun the Sheep Movie all soon coming to a theater near you… and it’s time to take a look and see just how well they will end up doing with critics. Ah, the Negative Zone. A place for family gatherings, the occasional happy hour get together, light-hearted fare and a chance to have your body irreparably changed and altered in such a way that you’ll gain powers you never thought were possible. Insane stretchiness, invisibility, rock hard (literally) muscles and/or full body flame suit. It’s really a great place to spend a little time. This summer, fans will have their own chance to check it out in Josh Trank’s Fantastic Four… but if the buzz is any indication, it may not be much of a trip. After an ultimately disappointing first run at Fantastic Four (26%) about a decade ago, Fox assumed it was time for a reboot. It would be difficult to be anywhere near as bad as the first two iterations of the quartet. Those flicks were jokey, somewhat nonsensical, corny and at times downright bad. That the first one came in the same year as Batman Begins (where we saw how good comic book movies could be made) and just slightly before Marvel jumped back on the map with Iron Man, and the reality is that the Fantastic Four movies helped in many ways to usher out a dying breed of pieces of crap comic book fare and transition into what we have going on today. So I guess we can thank them for that. 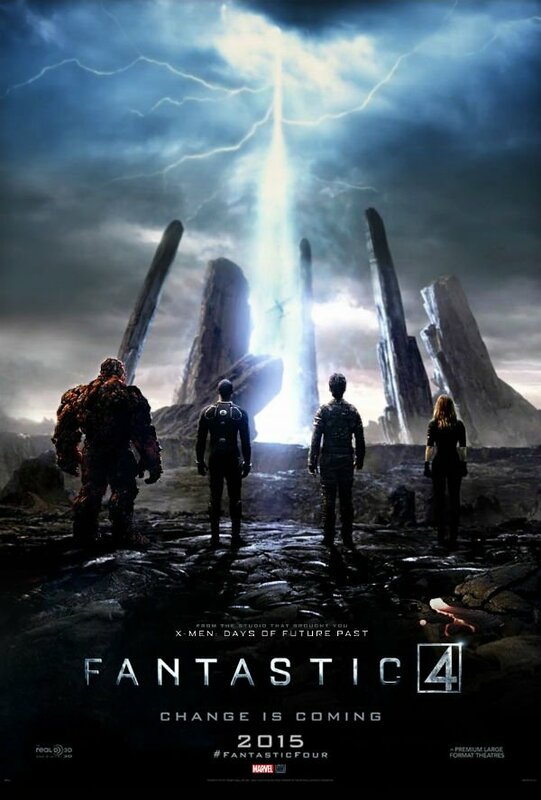 In this reboot, the Fantastic Four occupy a much darker world and tone. With a great cast of Miles Teller, Kate Mara, Michael B. Jordan and Jamie Bell, this flick appears to almost fit more atmospherically in the DC Universe than Marvel. It’s definitely a totally new look for the group one that isn’t necessarily reminiscent of the actual comic books, but that’s not exactly a bad thing. It’s hard to get a read on Josh Trank’s vision here. While he boosts confidence with his previous directorial work in Chronicle (85%), I’m not totally sure this movie lands. I want it to be great because I’ll take a good comic book flick any day, but there are a lot of moving parts: Many powers to deal with, a villain in Dr. Doom who strays a little from the comic book style of his character and some other je ne sais quoi that I just can’t put a finger on. It may be just how dark the trailer feels. 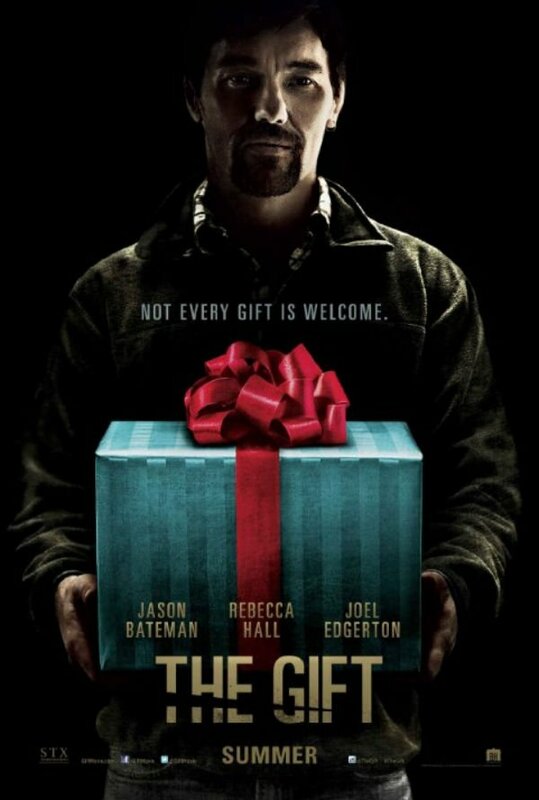 While watching the trailer for writer/director Joel Edgerton’s The Gift, Mrs. Rotten Week said to me, "Hmm, if I was imagining this movie happening in real life with us as characters, it’d be hard to know whether you’d be the husband (Jason Bateman) or the creepy guy knocking on the couple’s door and freaking them out." Not only is it nice to know I married "the one," it also seems to suggest something potentially very interesting about this brand new thriller. On the surface, this flick could easily be just your standard, thriller stalker flick with the usual beats and paces. These movies typically go one way: weird guy meets family. Family seems all right with the guy to start. Dude becomes more and more creepy as time goes on. Things get really bad. He’s in the house! A (typically) deadly standoff happens in the final third and the family is safe, finally. But The Gift appears to take this tired premise and add another layer of intrigue. Namely, it doesn’t appear totally clear who the bad guy is: is it Jason Bateman or Joel Edgerton? When we can’t be positive about the roles then a movie can really keep us on our toes. Edgerton wrote, directed and stars in this film. He has a couple of other writing credits, but this is his first foray behind the camera for a big budget film. Early reviews are overwhelmingly positive, which is no small feat for the suspense thriller. And I think it is because it doesn’t follow the story arc and format we’ve become accustomed to over seemingly infinite runs through this kind of stalker plot. Many critics point to the movie beginning much in the fashion we’ve come to expect, but lauded how it shifts in the second act away from the cliche and into the really scary. That’s no small feat. While the movie currently sits with a 100% score on Rotten Tomatoes, I predict it won’t wind up staying that way. Some folks will come along nonplussed about the story, or something. But that a "couple in peril" (as one critic called it) can start of this strong is a really good sign. 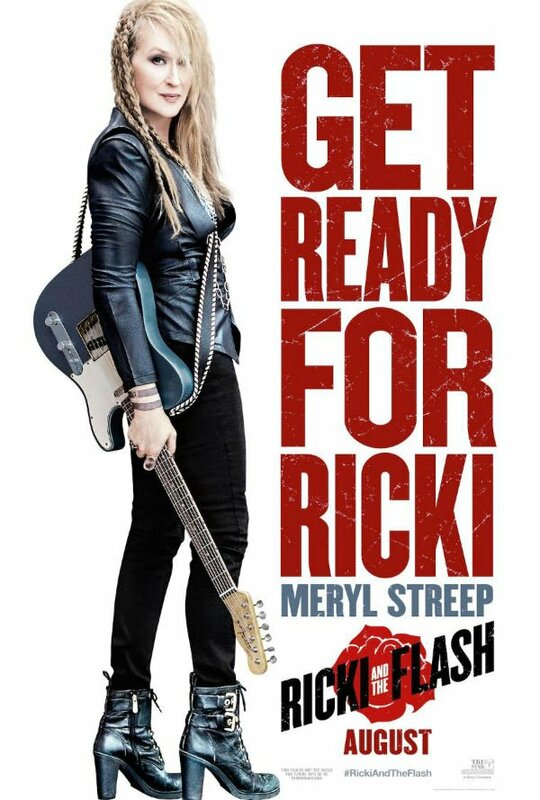 Meryl Streep has played a lot of different characters and turned out a lot of incredible performances over the course of her career - but man there is something just a little odd about seeing her on stage in braids and rocker hair jamming out on guitar for Ricki and the Flash. It’s not that she isn’t the kind of talent who can pull just about anything off, but I’m having a little Uncanny Valley-like thing going on with her playing this role. Maybe it’s just me. Ricki and the Flash takes a new-ish approach to a typical family story. One parent’s been absent for a subtantial amount of time until circumstance has them re-enter the family’s life and realize they’ve missed quite a lot. Where it’s different is this story usually involves the father coming back into the picture rather than the mother. The trailer strikes me as a little too melodramatic and convenient to be a great film. The story of an aging rocker come home to "deal" with her seemingly long-forgotten kids looks like it wraps into too neat a bow by the end to in any way stay believable. It’s interesting that the protagonist rocker is a woman, which turns some stereotypes upside down. From that standpoint, I think we’ll be able to at least root for Streep in her effort to reconnect with her family. But I doubt it touches on any new ground. Director Jonathan Demme has a few critical wins under his belt with Rachel Getting Married (85%), and back a little further The Manchurian Candidate (81%). These are two wildly different movies of course, but his track record at least trends on the part of arts-y and competent. Meanwhile writer Diablo Cody best known for penning Juno (94%) and to a lesser extent Young Adult (80%) wrote the script. So there’s some reason to be positive. On the whole, I’d be shocked if this didn’t turn into an outright lovefest by the end, with everyone in the family conveniently reconnecting to experience the life they’d missed all those years mom was on the road. But with no reviews in yet, I’m skeptical it performs well with critics. It’s hard to imagine there being any real stakes here. Of course, you’ll be rooting for mom and kids to experience the love they’ve missed all these years. But there’s almost zero chance we expect anything but a relatively happy ending. And I find that a bit hard to believe. I’m going to work real hard to leave out the sheep puns in this write up of the movie. It’d be so easy to say things like "Shear brilliance" on the park of the filmmakers." Or "this film won’t pull the wool over your eyes, it’s great." Things like that are lazy and I won’t take part in that style of writing. It’d be a bleating shame if I stooped to such levels – so it’s time to have a serious conversation about the Shaun The Sheep Movie. 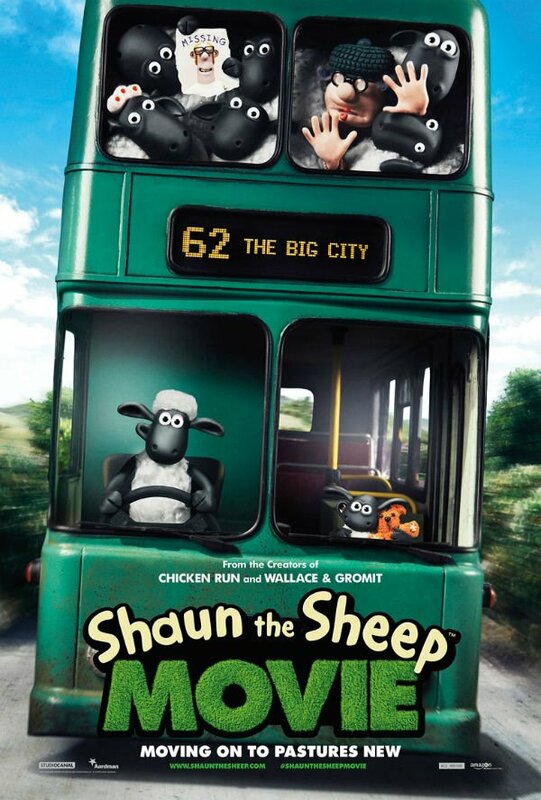 Shaun the Sheep Movie is based on the television show of the same name (sans "Movie," of course), and follows the adventures of the titular Shaun in his adventures heading with the flock to the big city. It’s a stop animation model originally spun from the Wallace and Gromit series. Those movies are rated off the charts and this film is headed in the same direction. Early reviews of the film have it sitting at 100%, through a non-insignificant sample size exists so far. Critics are going wild for the story and its style of storytelling. A film that’s primarily visual, with no dialogue is a crazy feat to pull off. That they did so in such a well-reviewed way just makes it that much more special. The three Wallace and Gromit movies are rated 100%, 100%, and 95% respectively. Director Mark Burton had his hand in the last one in line Curse of the Were Rabbit. This movie will join the list as another critical winner. The big test for animated movies is whether they can play for both kids and adults. I’m willing to bet that Shaun the Sheep Movie pulls it off. And I won’t even tell you to flock to the theaters to see it. It was a really strong week for the Rotten Watch last time around, with two hits on my predictions. The first one I had a head start on so I can’t take total and full credit, but still came within just a few percentage points. Mission: Impossible Rogue Nation (Predicted: 90% Actual: 93%) was a massive hit and will keep this franchise around for the foreseeable future. Cruise and his team put together another high octane, high entertainment summer blockbuster that’s just the kind of popcorn film we need around this time of year. Sean O’Connell says as much in his review giving the film a solid 4.5 stars out of five. He praised the action sequences as well as the story. It’s a big one and headed toward a great opening weekend. The same cannot be said for Vacation (Predicted: 30% Actual: 24%), although I had the score right in range. It didn’t take a genius to figure this flick would fall flat. Retreading a movie like the original National Lampoon’s Vacation didn’t seem to make a lot of sense at the time and that played out predictably. Nick Romano gave it two stars in his review. While he admitted there were a few laughs here and there, largely the story was disjointed and the characters tiredly underdeveloped. It would have been hard pulling something like this off in any reasonable way. And it looks like while the family might have made it to Walley World, the movie never really goes anywhere. Next time around we’ve got another packed week with The Man from U.N.C.L.E., Straight Outta Compton and Underdogs. It’s gonna be a Rotten Week!